There are a number of CAP Theorem diagrams that people have put together. This is the one that I've done for a presentation I'm going to be doing soon for UJUG. This one I'm making available to anyone who wants it under Creative Commons. All I am asking in return is credit back to my blog. I've read a number of blogs myself to garner this information. 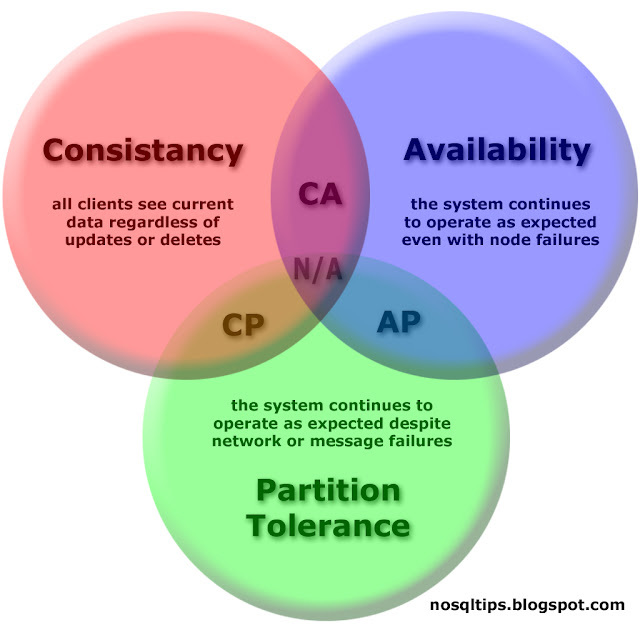 This is my best effort to explain CAP Theorem as I understand it. I've done my best to note and give credit for other CAP Theorem articles that have been written by others and will continue to do so.